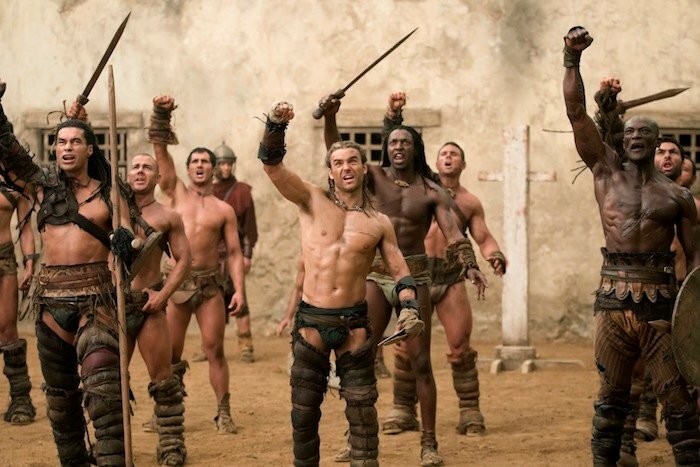 If you’re like me, you’re already thinking six episodes of this Spartacus: Gods of the Arena prequel isn’t going to be enough! Here are a few thoughts on the premiere, a preview video and some photos for next Friday’s episode. I’m loving Gods of the Arena so far. As much reason as there is to dislike Batiatus (especially taking into account how things went in Blood and Sand), seeing him get peed on by Tillius has me hoping he’ll find a way to pay the man back and something tells me he will. 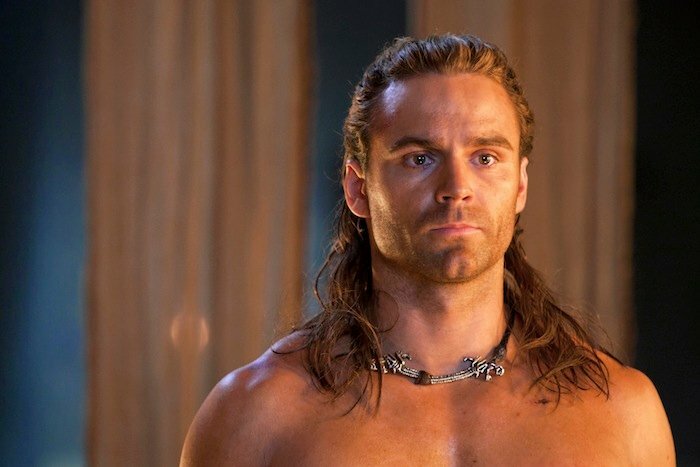 Crixus before he was a champion. Ever motivated and striving for honor and glory, I love that we’re getting to see his earlier days. He’s scruffier and less experienced but he already has the heart of a champion. 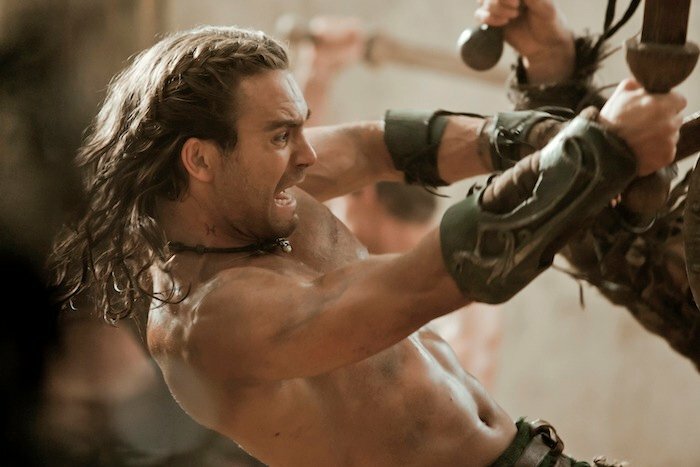 Is it too soon to predict an epic battle between him and Gannicus? 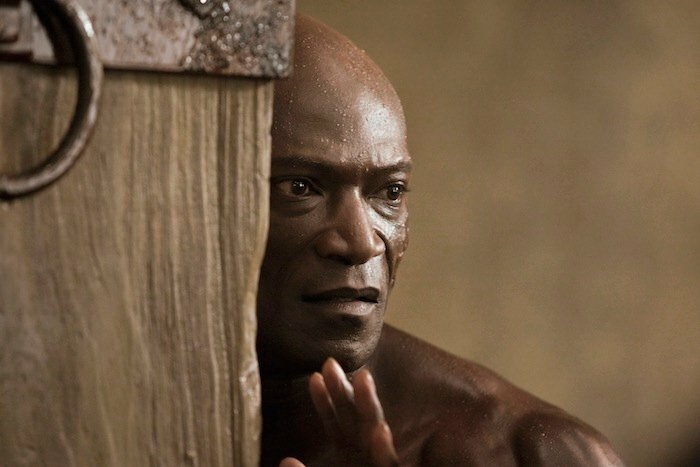 The softer, smilier and sexier side of pre-Doctore Oenonaus! Enough said. Jaime Murray as Gaia. Loved to loathe her as Lila in Dexter. 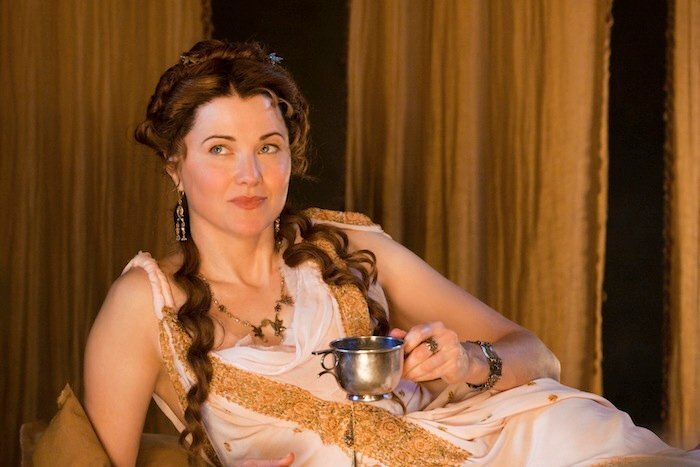 Will she be as unstable and duplicitous in Gods of the Arena or is her only motivation to get stoned on opium and get underneath Lucretia’s tunic? Now for what’s ahead. Below is Starz’ preview of Episode 2 and further down are some photos. 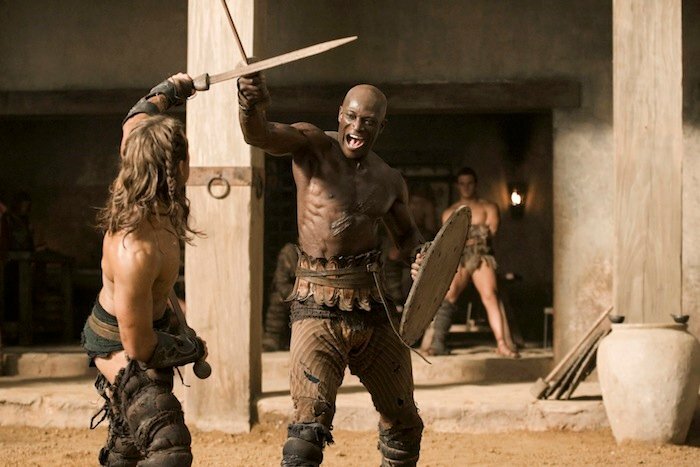 Spartacus: Gods of the Arena airs Fridays at 10/9c on Starz.